* All trip prices include flies and tippet. Other equipment available apon request. ** Wyoming fishing license not included in the price of the trip. Please purchase prior to scheduled trip date. 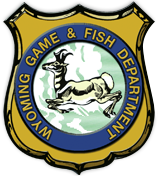 You can purchase a fishing license at the Wyoming Game & Fish Department or through selling agents.